As of today the Library has 3 bicycles available for borrowing. The program is called Bike Scranton, which is a cooperative program between the University of Scranton Office of Sustainability, and the Lackawanna Valley Heritage Authority. All University of Scranton students, faculty, and staff as well as Lackawanna County Library System card holders will be permitted to check out a bicycle as long as they are at least 18 years of age. Each bicycle comes with a lock and an adjustable helmet upon checkout. The borrowing period for each bicycle is unlimited, but all bicycles must be returned before the library closes. Soon there will be 3 more bikes available, for a total of 6. Other participating locations in the bike Scranton program are the office of the Lackawanna Valley Heritage Association (http://www.lhva.org/), the Hilton Scranton hotel, and Cedar Bike Shop (http://www.cedarbikeandpaddle.com/). Bikes checked out from the Weinberg Memorial Library must be returned here, and we will not accept returns from any of the other Bike Scranton locations. The Lackawanna Valley Heritage Authority owns all of the bicycles. Bike Scranton will be seasonal, and the transportation and storage of the bicycles will be the responsibility of our University Facilities staff. The bikes will be routinely maintained via Cedar Bike, and the University Office of Sustainability is in the process of developing bike routes throughout the city. Please ask at the Circulation Desk if you have any questions. 1 Comment on Save our World! Now available at the Library for purchase are BPA-Free reusable water bottles. These BPA-Free reusable water bottles are only $7 and you can use the Library’s new water purifier to fill-up for free! 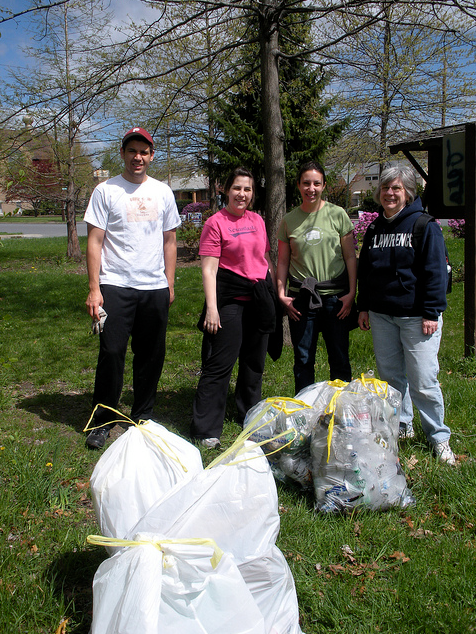 The Library Green Team has been dedicated to tackling as many environmental issues as we can. By purchasing one of these bottles and filling up for free at the new water purifier in the 24 hour room, you can help show your Scranton Pride and support Sustainability! The water bottles are 28 ounces and are made with BPA-Free plastic.